I LOVE Walt Disney World during the holidays! One of the reasons I like it so much is the decorations. Some of them are over the top extravagant, like The Osborne Family Spectacle of Dancing Lights, but some of the decorations are more simple. Sometimes, just a few things added. 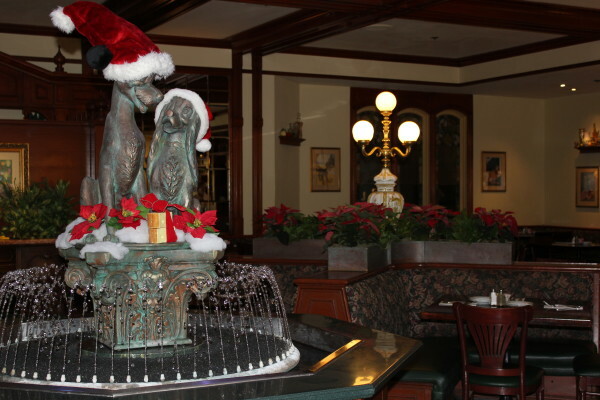 This Lady and the Tramp fountain is in Tony’s Town Square Restaurant in Magic Kingdom. It is done so simply and is so pretty! This was in the Emporium on Main Street in Magic Kingdom. Yes, there are a lot of decorations here, but I really like this one. It reminds me of the older Disney Stores with the moving figures in the front of the store. 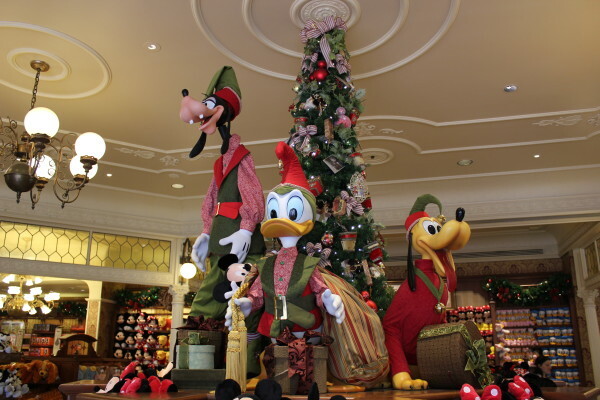 What is your favorite holiday decoration at Walt Disney World?